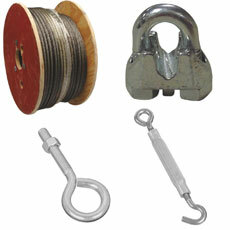 View our large selection of string lights, rope lights, string light bulbs and lighting hardware within this section. 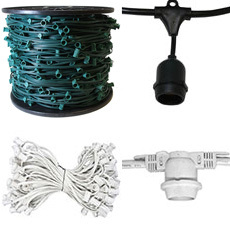 OogaLights offers everything from All-In-One string light kits, Heavy Duty Commercial grade string and rope lights, Bulk string light reels and stringers, replacement bulbs for string lights and hanging hardware for hanging your lights. 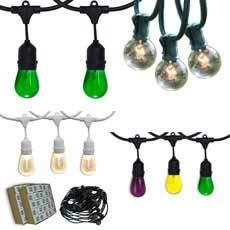 All In One HD String Light Kits are the most effective way to complete your decorations. 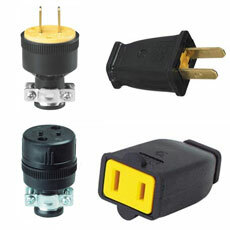 Interchangeable bulbs give you the opportunity to save money by only buying one light strand with the ability to switch up your light bulb colors. 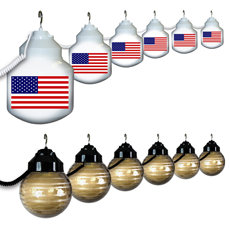 Commercial HD Light Strands can also complete your decorations. If we don't have what you want in the all-in-one kits, just pick your strand and your bulbs to create the perfect kit for you. 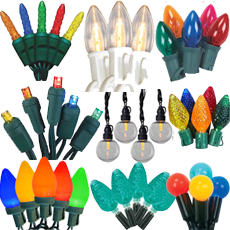 If you are looking for the more traditional Christmas Light style string lights just take a look in the String Lights Sizes & Styles section. 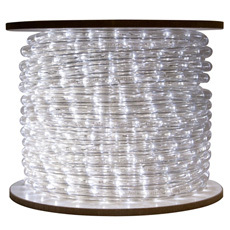 In the Rope Light category OogaLights has a massive selection of rope light colors in multiple different sizes including 150 foot reels or 18 foot lengths. 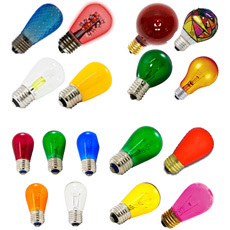 With thousands of different light bulb base types, shapes, styles and colors OogaLights brings you a very simple way to pick the right light bulb for you.